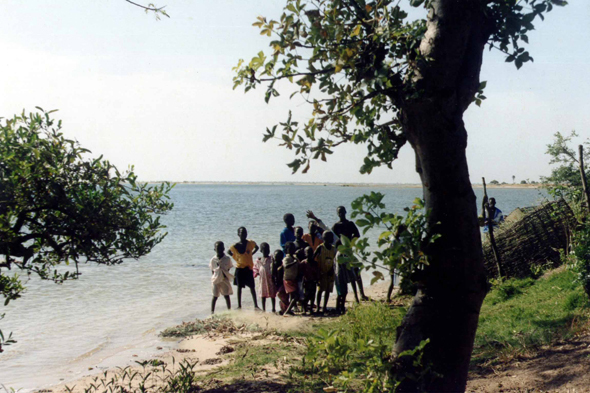 Children on the island of Mar Lodj. In the south of Sine-Saloum, sources irrigate the islands, making it possible the vegetation to be maintained there. The area constitutes one of the best fishing zones of Senegal.